1. Manuscript submission is very easy by simple online process. 2. Registration is not required for paper submission. 3. Review result of submitted paper will be declared within 05-06 days by reviewer team. 4. provides individual "Soft copy of Certificate" to all Authors. International Journal of Engineering Research and Applications (IJERA) is published as monthly journal with 12 issues per year. 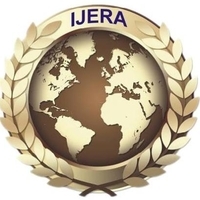 Currently IJERA is also publishing peer reviewed papers of International and National level conferences conducted by various research and academic institutions. Prospective authors are kindly invited to submit full text papers including results, tables, figures and references. Full text papers in .pdf format as well as .doc/.docx format will be accepted by online submission or E-mail: ijera.editor@gmail.com . All submitted articles should report original, previously unpublished research results, experimental or theoretical. Articles submitted to the Conference should meet these criteria and must not be under consideration for publication elsewhere. Why publish your article in IJERA ?